Can’t think of an emergency where you’d need cash not in your wallet? Well, how about if you get mugged? Or lose said wallet? Or even just any time when you need an extra twenty bucks and—hey, wait a minute . . . So that’s why emergency cash stash ($25) is useful. 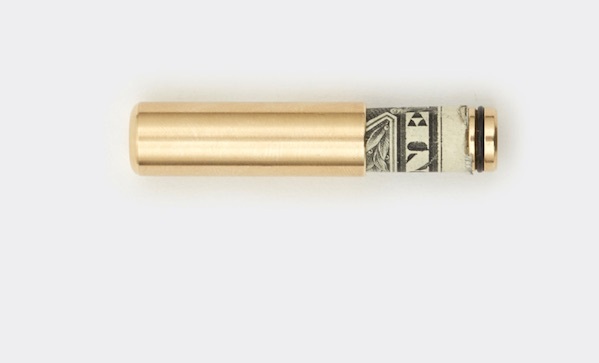 It’s brass, it’s waterproof, you can stick it on your keychain, and it holds one bill, to be used in any emergency.